Frank Tayell's Blog: Can you pronounce Dwygyfylchi? 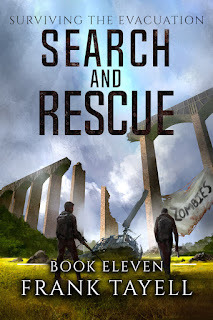 I was aiming to publish Surviving the Evacuation 11: Search & Rescue tomorrow, and thought I was on a final read through, but I've been making too many tweaks and changes. I will have to declare this the penultimate read through, and say I'll publish Book 11 some point later this week. Apologies for the delay. Audiobooks: Book 9 was sent to Audible on Thursday, so should be available in a couple of weeks. September: Nowhere is safe from the living dead, not even The Tower of London. The ancient fortress has become home to nearly a hundred people. Food is scarce and the undead are many. 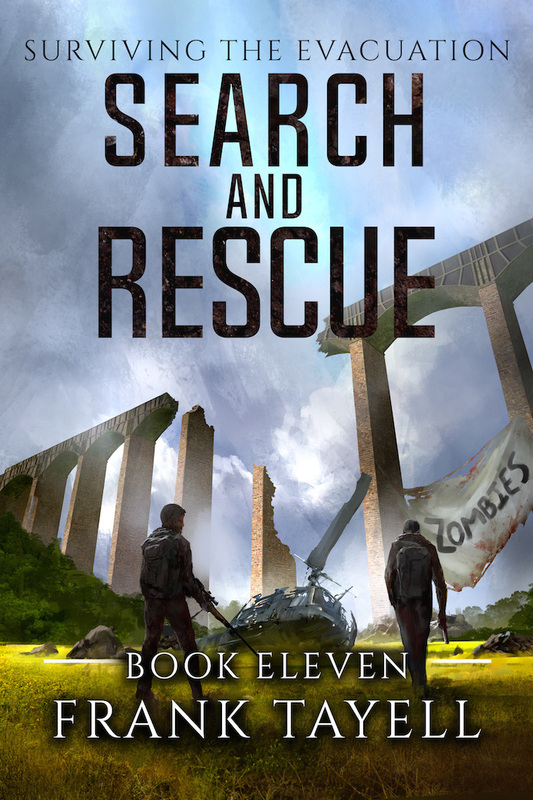 The survivors are doomed unless help can be found, but the only place it can come from is Anglesey. Eamonn Finnegan sets out, alone, to seek their salvation. He never reaches Wales. November: In her heart, Greta knows that Eamonn is dead, yet she has to look for her lost love because he would look for her. Chester Carson joins her in the futile quest to ensure the search doesn’t cost Greta her life. Before their journey has barely begun, they discover an old foe that they thought was dead. The Aqueduct features on the cover, and was going to take a rather prominent part in the story. In the end, I cut out everything but the final part of the story of the people who had taken refuge among its ruins. Frustratingly (for me) this wasn’t the only location that was cut. The Grand Union Canal has been relegated to only a few brief mentions, Wrexham is never visited, and Cambridge doesn’t get mentioned at all. Perhaps in the next book. I’ve tried to tie up a lot of loose ends in this book, and though it doesn’t quite end on a cliffhanger, it does set the stage for the final part of the Anglesey story (though not the final part of the series.) Tuck, Nilda and Jay will feature more in the next book, but more of that closer to the time. If you were wondering which books (or parts of books) to re-read prior to publication, I would suggest the prologue and epilogue of Book 7, and the epilogue of Book 10. And, with that, I shall return to this penultimate read-through so I can get on with the final read-through, and then, finally, publish the book.